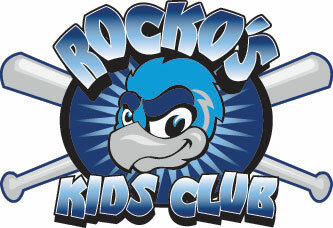 May 9, 2007 - LOVES PARK, Ill. â€“ Three fresh faces will join the Rockford RiverHawks this spring, with each player bringing professional baseball experience. The RiverHawks today welcomed pitcher John Brownell , catcher Trey Johnston and outfielder Roberto Valiente to Rockford for spring training. Brownell, 23, joins the RiverHawks after being selected in the 27th round by the Philadelphia Phillies last summer. He spent the 2006 season in the New York-Penn League, where he went 1-3 with a 3.89 ERA out of the Batavia bullpen. The University of Oklahoma alum compiled an 8-5 record in 60 career appearances for the Sooners. Johnston, 21, comes to Loves Park after splitting time last season in the Phillies organization where he saw limited action in High-A Lakewood and Double-A Reading. His best season came in 2005 when Johnston hit .302 with two home runs and 10 RBIs with five doubles for the Peoria Padres in the Arizona League. Johnston was selected in the 18th round of the 2003 draft by the Chicago Cubs out of Schaumburg High School in Schaumburg. Valiente, 23, arrives in Rockford following a season in the California League where he hit .287 with one home run and 12 RBIs with four stolen bases for Bakersfield, the High-A affiliate of the Texas Rangers. Valiente was drafted in the 44th round by the Rangers in 2005 and went on to hit .316 with two home runs and 27 RBIs in 45 games for the Surprise Rangers of the Arizona League.